Minowara Begum is a M.A. Candidate at Seton Hall’s School of Diplomacy and International Relations. She is originally from Bangladesh, which lobbied for the creation of International Mother Language Day, and celebrated the day with the Bangladeshi American Women’s Development Initiative this year. She shares some of her thoughts about the special importance of this day and why mother languages are so important for society and international relations. 1. Was this your first time to celebrate mother language day? Yes. This was my first-time celebrating mother language day after coming to New Jersey. Back in Bangladesh, every year on 21st February, we used to pay our special tribute to language martyrs by laying flowers at the Shahid Minar (Martyr Memorial) very early in the morning, barefoot. 2. What was included in the celebration this year? This year, on February 17th, 2019, BAWDI (Bangladeshi American Women’s Development Initiative) hosted an art show, panel discussion and cultural program for the first time in honor of ‘Ekushey February’ (21st February) in Paterson. 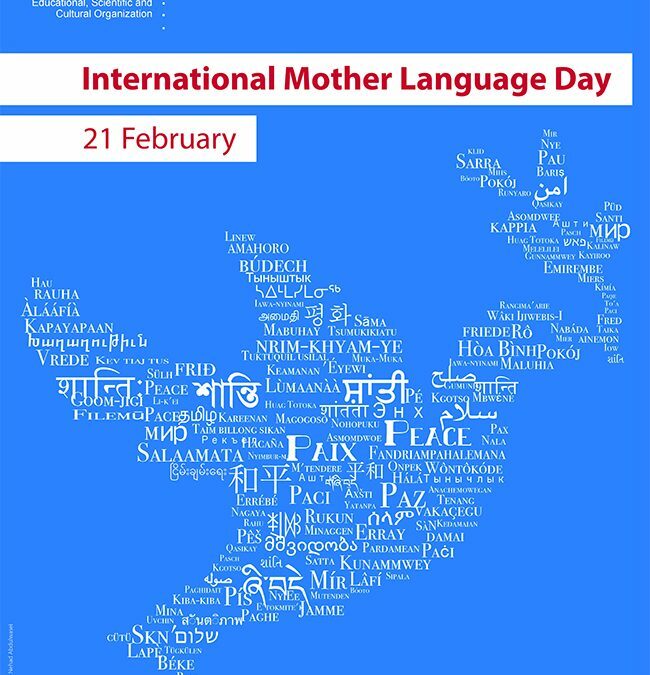 Now, 21st February is also celebrated as International Mother Language Day. BAWDI had an open call to the community to submit art as part of an open community art exhibit, this exhibit was launched at the Sunday event for the public to see. Along with the exhibit, we showed a video showing the history and importance of International Mother Language Day and the language movement of Bangladesh. A song was sung in honor of student martyrs who died for the Bengali language, followed by a moment of silence. This was followed by the presentation of a proclamation from the Mayor of Paterson, Andre Sayegh, given to BAWDI recognizing International Mother Language Day as an official commemorative day in Paterson. After this, we had a panel speak to the importance of language and culture in the Bangladeshi American Diaspora. The panel featured Shahana Hanif, Bangladeshi American Organizer and Co-Founder of Bangladeshi Feminist Collective, Dr. Rajender Kaur, Professor of English, and Director of the Asian Studies Program at William Paterson University of NJ. Tania Chowdhury, BAWDI Co-Founder, and Board Member, NYU Ph.D. Student. The event concluded with community performances, which included the singing of songs in Bengali, poems and musical performances. 3. Why it is important to celebrate mother languages? In Bangladesh, through the celebration of mother language day, we pay our special tribute to all language martyrs who have sacrificed their lives to establish Bangla as our state language in 1952. There are more than 6,000 languages in the world. As much as 90% of languages may be extinct within this century if linguistic hegemony of English prevails across the world. There is a famous quote that knowing another language is like having another soul. Language gives itself a depth to human experience and diversity in a way that nothing else really does. Language is a bridge to history and culture, so celebrating and recognizing it is a way to pay homage to those important elements of our humanity. Celebrating language also gives us perspective and a connection to those who sacrificed to keep their languages, often against great odds and oppression. When we speak a language, we get tied back into all these elements, and that is truly something of value and worth celebrating. 4. What role do mother languages play in international relations and diplomacy and at the UN? UNESCO on November 17, 1999, announced the 21st February as the International Mother Language Day to promote linguistic and cultural diversity and to create awareness on the importance of the preserving languages. Recognition and respect for others’ mother languages are essential for maintaining harmony in the world. The UN puts emphasis on multilingualism and preservation of endangered languages. Mother language can play a significant role in diplomatic engagement with different nations. When a multilingual diplomat speaks the language of the host country, it increases his/her acceptability. Moreover, for conflict management, it can help a lot to peacemakers if they know the local languages to interact with the locals to enhance their credibility and to gain trust from local community. 5. Any special proverbs/sayings from your mother language? Awesome job sharing your knowledge about this very important day so nicely. Great job Minowara! It’s very important to observe this day to show respect toward all minor languages and culture throughout the world.